Got a new smartphone? Awesome !! How about getting the accessories to keep your phone protected and looking unique. 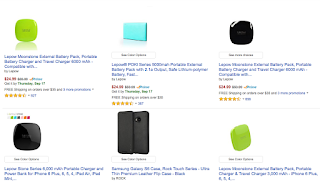 Checkout the super smartphone accessories deals from Lepow - discounts around 80% for most of the items listed using code LEPOW915. Never miss a deal - sign up for our news letter. Be awesome !! Enjoy !! !